The AUS council will be holding their bi-weekly council (wait, what?) on Tuesday, November 22 at 7 p.m., during which at least some of these immediate and specific concerns should be addressed. But to reiterate this op-ed, the society as it stands does not adequately serve the greater arts population as it is funded to. The major corollary of this conclusion­ — which I shall reach with the following three arguments — is it is prudent for the AUS to restructure their expenditures or reduce its student fee collection. First, let’s look at this empirically. During the 2016 AUS spring general election, out of 13,095 eligible voters, 752 voted for any of the 10 elected positions. That translates to a voter turnout of 5.7 per cent. For reference, the CUS, KUS and SUS turnouts were 31.6 per cent, 25.8 per cent and 14 per cent respectively. Of these positions, four candidates ran unopposed — the VP Administration, VP Student Life, VP Finance and Arts Student Senator — and four more positions featured only two candidates — President, VP Internal, VP External, VP Communications. From this alone, it should be damn difficult to conclude that the 12,500 students this year who pay AUS fees are well-represented by this society and its executives. If they are not well-represented, they cannot be well-served. This argument can be broken down into two parts — the first dictates that a significant proportion of students are paying largely for expenditures on services/events which provide them with no direct benefit. Much of the spending is for events attended by mere fractions of the AUS membership. Grants given to departmental clubs amount to $30,000 spread across 20 clubs and $10,000 is budgeted to a single retreat attended by only 50 council members and club reps — the benefits of having representatives from clubs that have little to do with each other attend an event to “bond” is suspect. The academic development portfolio, which includes professional development, is more relevant to more members of this society — virtually nothing is actually spent on it despite its large budget, which implies nothing happens there. The second half of this argument is that students are paying for quite literally nothing. This shouldn’t be the case this year, but in the previous two years, the AUS ran surpluses of $17,500 and $25,500. It started this year with an operating surplus of $162,000. Evidently, some of this money is being used now to cover the loss incurred at stARTup. But considering annual student fee revenue of $157,000, these surpluses are large and signal that a good proportion of student fees aren’t being put to use at all. And if that’s the case, why bother collect it? It is immensely difficult to understate the confidence I personally have in the notion that some AUS executives have any clue what they are doing. They may be great people with noble intentions, but this does not preclude systematic incompetence and knowledge deficit. One look at the budget spreadsheet and it is immediately clear that the VP Finance has no background in accounting — the sheet itself is an utter mess and some of the budget vs. actual differentials are comical. In fact, I will go as far as call for the resignations of this VP and the VP Student Life who oversaw stARTup because nobody should be given the opportunity to continue in these positions after the colossal failures involved with that event and what followed. For instance, it was rationalized that they did not forecast poor ticket sales because previous years had sold out. The problem with that is they forecasted $50,000 in ticket revenue for stARTup last year and only received $33,000. Anybody with any accounting sense would adjust and not re-forecast $50,000 in sales again. To do so would be a massive gamble and they apparently took it with the utmost confidence. They have no idea what they’re doing. For the benefit of the arts students population, please find somebody that does. Essentially, they decided that they deserved a reward for doing a job they signed up for at the expense of the people they signed up to serve. If their campaign rhetoric is to be believed, they signed up to better the UBC arts community. This outcome — as well as a position title on their resumes, some recognition, experience and learning which, judging by their response, they are clearly not doing — is all they are entitled to as their reward. If other undergraduate society executives must pay fees to attend their retreats, why do AUS executives deserve a free three-day trip? Aside from my calls for resignations, I propose some ideas to increase the AUS’ utility to arts undergraduates. Reduce spending on events, increase department club grants: Events such as stARTup and the Great Arts Send-Off, while entertaining, are ephemeral experiences for the few that attend. Prioritizing these events in the budget does not reflect a holistic understanding of the student body. The Commerce Undergraduate Society's equivalent of “department clubs” organize the majority of events and services that exist in the school. Why? Because they are able to better cater to students. 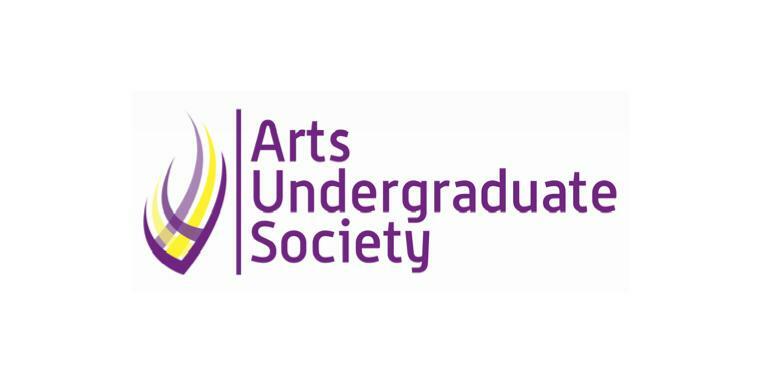 Many department clubs in the faculty of arts have very little to do with each other being specific to a major. Thus, they would be able to better provide specialized or more relevant services, whether academic or events, to their members than the AUS can. Cut the budget for retreat: It is frankly extravagant and unnecessary. For comparison, the EUS collects a student fee revenue of $191,000 and budgets their executive retreat at $1,000 — 1/10 that of the AUS. Given the very limited AUS budget, BYOT (bring your own tent) seems more appropriate for such an endeavour. Or better yet, just do planning at UBC using UBC facilities. The “reward” justification is entirely invalid. Either actually invest in the academic portfolio, or cut it and give the money to department clubs: I question the need for the existence of the VP Academic portfolio. In 2014–2015, the AUS budgeted $800 and spent $83. In 2015-2016, they budgeted $15,600 and spent $1,300. Does this VP do nothing all year? Perhaps appoint an ad-hoc committee instead of a single VP, for it is difficult to start something from nothing, especially without resources and support. Create a writing centre replacement or something, hire tutors, do anything! Restrict the AUS to only a figurehead organization that hosts a handful of events: Here’s an interesting thought — the AUS is inherently incapable of serving the majority of arts students in any capacity beyond hosting frosh orientations and the Great Arts Send-Off. The faculty is too broad and programming for students would be better organized by department clubs as a result. The reality is that any event hosted by the AUS is largely pointless because most arts students don’t share classes or, theoretically, interests. By the same reasoning, students don’t feel connected to or a part of the AUS — hence, low voter turnout and calls for the ability to quit society membership. Essentially, the value to students lies in department clubs — not the AUS. If the AUS were to necessarily exist, the ideal dynamic is that the society merely represents these clubs to the AMS and funds them, but it cannot not hold any power over them. The society should not be directly involved in the planning of any programming beyond frosh orientations and the Great Arts Send-Off — this should be left to clubs. Such a restructuring should necessarily reduce AUS spending across the board as they take on a smaller role requiring fewer council members. Will Zhang is a third-year student studying commerce.